Good and bad news for Dominican Republic iPhone users! The Good News? 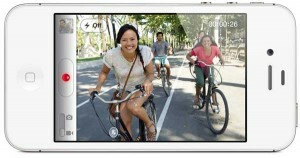 Apple has announced that it will be making the new iPhone 4S available in the Dominican Republic as an “unlocked” version. Bad News? As expected not all features will be available in the DR. While both Orange and Claro will have the unlocked version available to their customers they will both have different features available. According to Apple, for Claro the 4S iPhone will be locked to the carrier, have access to MMS and Claro hotspots in the Dominican Republic but will not offer authorized unlocking or visual voicemail. Orange includes the feature of having authorized unlocking but likewise will not offer the “Visual Voicemail” service. American Airlines affiliate American Eagle announced it will be resuming it’s flights to La Romana-Casa de Campo International Airport (LRM) from Luis Muñoz Marín International Airport in San Juan (SJU). The flights are set for Friday and Sunday with the flight from San Juan Puerto Rico to La Romana leaving at 12:25 pm and arriving in La Romana at 1:25 pm and the flight from La Romana leaving at 2:00 pm and arriving in San Juan Puerto Rico at 3:00 pm. 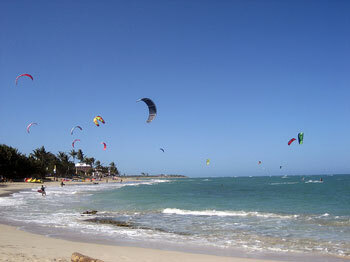 This flight works out well if you would like to spend a weekend out of your DR vacation in Puerto Rico. You can Leave the DR on Friday and come back the following Sunday. San Juan is known as “La Ciudad Amurallada” or “the walled city”. It’s on the Northern Coastline of Puerto Rico. Likely your visit would include some of the major points of interest like “Old San Juan” with its numerous plazas, parks and forts. One of the more interesting forts is “El Morro” an awesome looking 6 level fortress. There are also many museums of interest as well as other historical buildings. Many of these buildings were constructed in the 1500’s to the 1800’s. Then of course there is the food. You will find food from all over the world here with great restaurants serving French, Italian, Asian, Greek, Spanish and German food. The Las Colinas Mall is a multi-story mall located on Ave 27 de Febrero in Santiago. They have both escalators and an elevator to get between the different levels. The Jumbo Supermarket in the Las Colinas Mall is kind of like a Wal-Mart in the US. You find just about everything there. Food, liquor, clothes, household items etc. They also have a good bakery and a cafeteria style food area. If you are looking for more restaurants in Santo Domingo check our Santo Domingo Restaurants page. Their bakery is very good. We tried a couple different styles of fresh baked bread as well as several pastries. One of our favorite pastries was a custard cone with about a cup of very good flavored vanilla custard in a flaky pastry cone. They also had some very good fruit pastries. This will likely be one of the locations we will stop by regularly in the future. The new Miss Dominican republic will be crowned tonight from a group or 36 candidates. Antony Santos is coming to Fantino December 10th 2010. Who is Antony Santos and where in the world is Fantino. Well let’s start off with who is Antony Santos. He is one most famous Bachateros in the history of the Genre. His career started off in the early 90’s with the now famous Bachatero Luis Vargas. He is widely viewed as responsible for changing Bachata from the once poor people’s only music to the present day popular music that is listened too around the world.